Most people don’t do this. It’s like a dirty little secret that nobody knows. But when they see it, it’s so simple. It just makes sense. It has the potential to give you a huge advantage over the competition. An unfair advantage. As an analogy, let’s say you go fishing. You have only one fishing rod and only one piece of bait. How many fish will you catch? Hopefully one, but that’s the limit if you only have one piece of bait. So you bring lots of bait. Then you can catch lots of fish. What if you have more than one fishing rod? Or more people along? Several people each with lots of bait. In that case you and your group of friends can catch lots of fish. You’re not limited to one! Another example. Leaves on a tree capture sunlight. They also produce shade. How much light is captured, and how much shade is produced with only one leaf? Compare that to the light captured and the shade produced by thousands of leaves on one single tree. The lesson here is that it takes more than one Facebook ad to product results. It may take dozens or more. OK this seems obvious. Do more ads and get more exposure. But there’s one difference between the fishing and leaves examples and running ads. By multiple ads I mean multiple ads that differ from each other. Not copies of the same ad. The leaves are all the same and the fishing bait can be all the same and still produce more results. But not so much with ads on Facebook when we have a smaller local audience. Even with a large audience there’s a huge benefit to running different ads (as opposed to the same ad running multiple times). That advantage is testing and improving. It’s hard to predict how well ads will do. Running various ads that differ from each other allows you to test and find winners. The reason you should do various ads that differ from each other is because people are different. They each have their own interests, needs, and desires. Some things resonate with some people, other things resonate with others. You as an advertiser also have various things to say. You can talk about your products and services in different ways in terms of how people would be interested. So we’ve determined that running various ads that differ from each other will help get better results. But this leads to more questions. How do you make dozens of ads? They can’t all be the same. What will they be about? How many ads should you do? Who will see them? The LEGO Learning Institute defines a process they call Systematic Creativity. (reference: https://ceciliaweckstrom.com/downloads/). The focus is on how their product, LEGO building blocks, helps kids learn and develop by giving them a system (the LEGO blocks) to be creative with. They say, “creativity is defined as the ability to come up with ideas or artifacts that are new, surprising and valuable. Systematic means having a system, method, or plan. So, Systematic Creativity could be a method we use to help us be creative while creating Facebook ads. Basically it would give us a guideline to work with. This is what I’ve come up with to make better Facebook ads. Before we get into ad creation let’s define the basic process that we need to have success with Facebook ads. First you have to reach people. This involves defining the audience who will see your ads as well as the campaign objective and optimization and delivery settings (optimization and delivery settings are in the ad set level). Attention refers to getting noticed. People may see your ad but not notice it. To get noticed you need an unusual or especially attractive image and compelling headline. Act refers to getting someone who’s attention you have to do something. If you’re successful with reaching, then attracting someone to get them to stop and look, the third step is to get them to act. They’d act by either clicking, or sharing, or liking, or commenting. Whatever it is you want them to do. 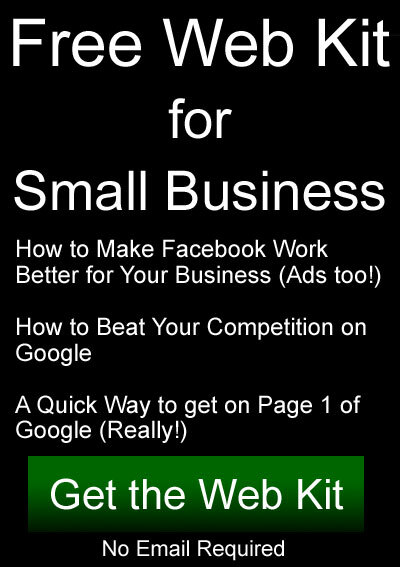 With a Facebook ad, these three steps are the basic things you need for success. To succeed you’ll need more than one ad. This doesn’t mean you have to run multiple ads at one time although you can. You could create one ad per week, or one ad per day. When they’re done running be sure to compare results. You’ll most certainly see that some ads do much better than others. Then you’ll want to continue to use the good ones and discard the poorer performing ones. There are a couple of ways to do this. But first some questions. What should your ads say? What images should you use and what message should be used? The answers to these questions are simply whatever is relevant to your topic. So first you’ll choose a topic, then you’ll create the ad with a related image and headline along with a story. Most traditional advertisements go something like this. “We offer the best carpet cleaning service in the area.” or “Try our new beef tacos.” or “We’re having a sale this weekend.“. It’s OK to talk about what you’re offering. That’s one angle. Another angle is to talk about things from the customer’s point of view. What their needs are. You can say something like this: “Is your living room carpet in need of cleaning? Call us…“, or “If you like beef tacos, we have a new recipe for you to try.“, or “Save big money with our weekend sale.“. Think about the benefit to the customer. You can get a little more interesting if you bring emotion and stories into the ads. You could say something like this. “The worst carpet cleaning job we ever had ended up with a big surprise on graduation day for this family.“, or “My friend tried these new beef tacos but never liked Mexican food till now“, or “Sadly, we have to lower prices for our weekend sale due to an unexpected mistake, but that’s good news for you!“. Here’s another angle you can use to be creative with ads. Think about what’s going on in the community and with your business. You can create Facebook ads that talk about events, news, stories, history, hobbies, little know facts, and sports. All of these things are interesting to some people. Focus each ad on one thing that’s interesting to some of the people in your audience. You’ll catch their attention. Then you’ll need to pivot and tie your ad into your business. This might seem hard to do, but it’s not that difficult. For example, if your ad topic is about a hobby like hunting, but your business is financial planning, your ad can include some financial tips for hunters. Same for accounting and tax preparation. Something like “tips for tax breaks for hunters!“. Being creative with Facebook ads is more important than with other media because Facebook is social media and naturally fits. Social media is less about selling and more about stories and making connections.